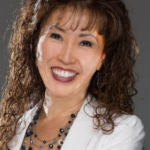 Yoon Cannon is the founder of Paramount Business Coach, where she helps entrepreneurs create thriving six-, seven-, and even eight-figure businesses. Sometimes it’s easy to forget about it. Most people in the startup world are on Facebook. And LinkedIn sorta seems like a place for 9-to-5ers to network and post resumes. However, our customers are not our peers. And in many cases, our customers ARE using LinkedIn. A lot. There’s gotta be something to it, considering how long it’s been around and that the community just keeps growing. That’s what Yoon Cannon says in her Mixergy course. Yoon is the founder of Paramount Business Coach, where she helps entrepreneurs create thriving six-, seven-, and even eight-figure businesses. So how do you do it? How do you used LinkedIn to get REAL customers? But what if you’ve got a B2C business, and your customers don’t have a LinkedIn group? For instance, one of Yoon’s clients helps people recover from post-traumatic stress disorder. There might not be LinkedIn groups for people with PTSD, however, there are people who can refer business to him, which is even better.